Designer, Fashion Entrepreneur Opportunities + Project Runway! Hello fashion moguls (to be). Whether you are a fashion designer looking to sell and gain exposure, or established and ready to take your collection to global brand status, I found some great fashion start-up opportunities to get you there. The Fashion Institute of Technology has an intensive program that trains working designers on all of the business aspects of running your collection. They are accepting a handful of the most promising designers who apply for the Design Entrepreneurs NYC program. Think of it as a FREE crash course MBA for all of the stuff they don't teach you in the design program itself... Your deadline is March 31, 2014. If you already have a successful company and have been in business for 7 years or more, DHL Exported might be for you. You need to demonstrate that you have already gone through sales and production for your collection and be ready to present your looks on an international level. Winners will be debut at fashion capitals like Tokyo, London, Milan and New York. DHL will underwrite production, etc. If you are ready, apply to DHL Exported. Deadline is April 2, 2014. New designer and looking to show and sell your goods during the holiday season? Grand Central Terminal is having an open call for their holiday market tomorrow and Thursday, March 27, 2014. The market reaches thousands and thousands of commuters and tourists. They insist on handmade and are looking for accessories, tabletop, etc. in addition to fashion. Show your stuff at the Grand Central Holiday Market Open Call. 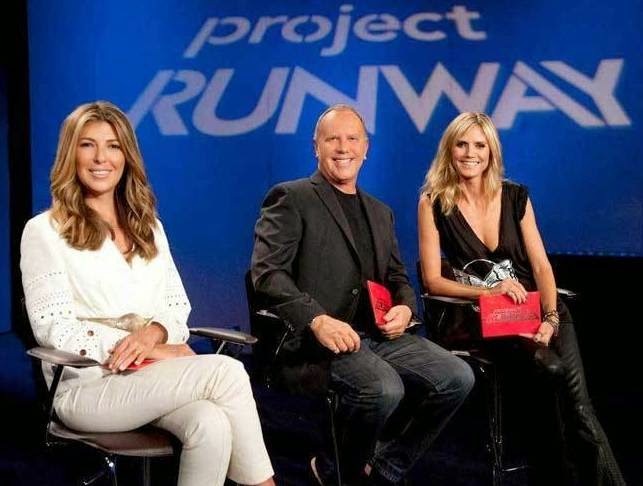 Of course, if television fame is as important as fashion fortune to you, the Project Runway Casting is for you. If you know of the show at all, you know what they are looking for. Great design (and execution!) skills and big personalities. Winners get to show at NY Fashion Week and $100K to make their collection happen. Apply by April 14, 2014. Good luck and remember me when you are famous! and fabrics. Thanks for sharing it with us.